Helping students master number concepts is an integral step in providing a strong foundation for Math. At the beginning of every year I always have to remind myself to start SLOW. I have to give myself little pep talks to remind myself to take the time and build on small concepts. Each year I designate the first two-four weeks of school for teaching expectations, behavior, and the foundation of all that we teach in first grade. To rush through these important concepts is a mistake. 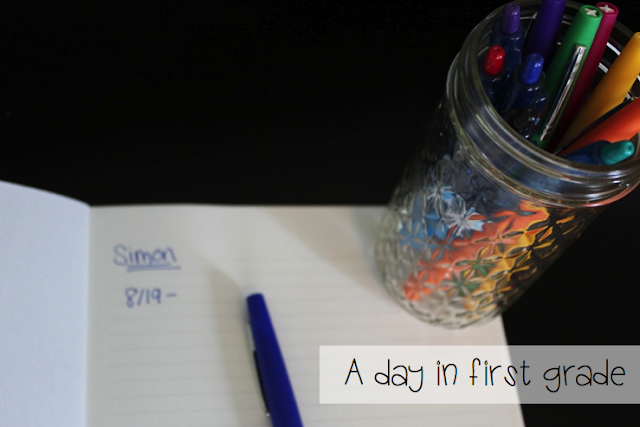 As “back to school” is quickly approaching, I began by thinking through all the small things I have to teach and reteach my students when it comes to math. We want our students to really grasp what a number is and how we use numbers every day. I got myself organized and put all of these first steps into a series of small group lessons, large group lessons, and independent practice for my first graders. 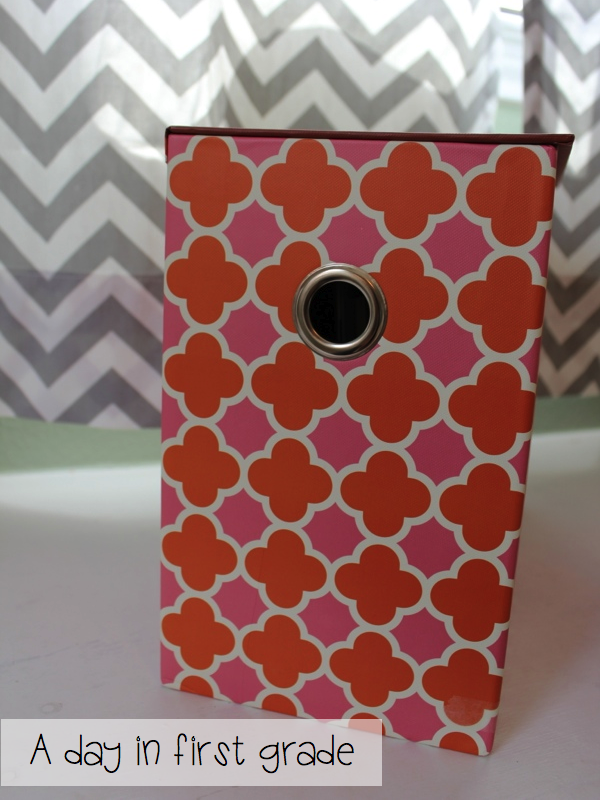 I then bought this way cute filing box from Target. This hot number has been calling my name since last April when I first saw it. When I got it home, it did not let me down! Inside the box I added some file folders and the games and activities I will start the year with. 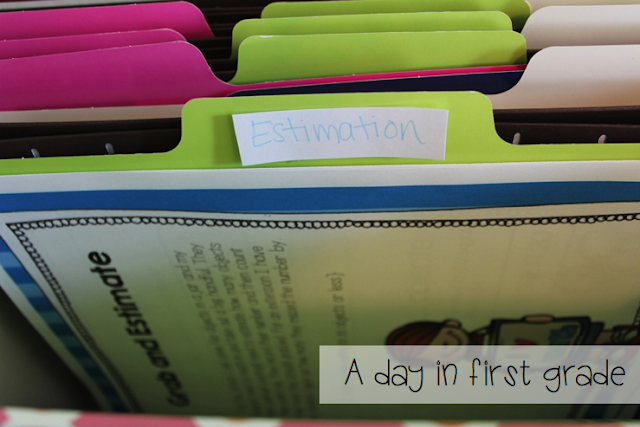 I also include a notebook in the first file folder because this is where I will keep notes on my students’ progress. To help me stay organized, I put a label on the folders and then put all the activities that I have that go with that concept in the file. This helps me because it gives me a variety of games that I can play with my students when I pull them for small group activities. I use a variety of games at the beginning of the year that serve as working assessments for me. While teaching the expectations on how to use our math manipulatives, I play many games that help me assess where my students are with their number skills. 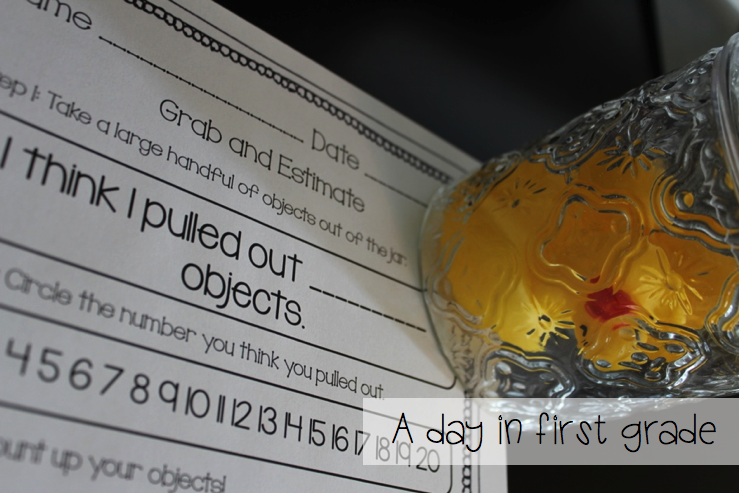 We practice skills such as counting, estimating, forming numbers, writing numbers, making five and more. 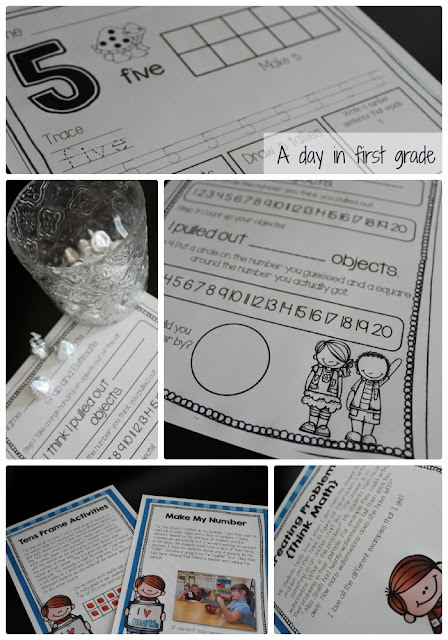 I put all of these activities into a packet that is so easy to use. Each activity has an activity page that explains how to play the game. Some activities also have recording pages for you to use. 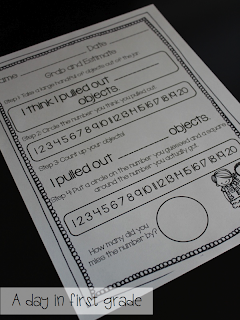 I also included a worksheet for each number from 1-20. 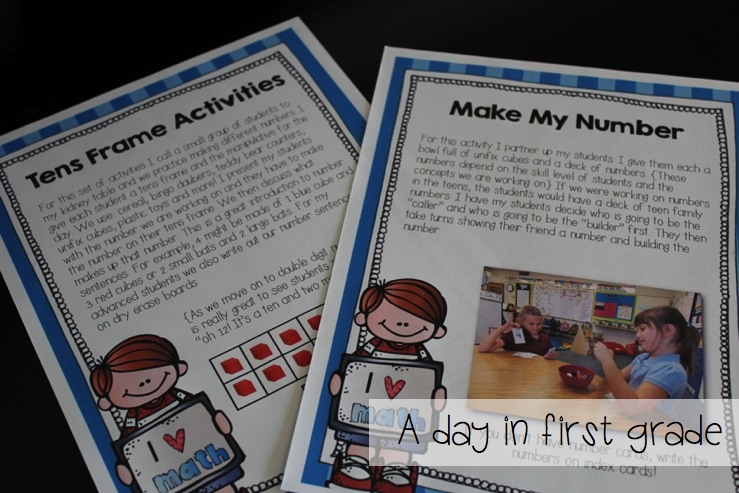 Students will practice reading the number, making the number with a ten frame, writing the number, and then forming the number in a variety of ways. I also included 3 weeks of progressions that I would use while I teach different number concepts. I show what I would do during my whole group time, my small group time and then what students would work on independently. Starting the year off slow and taking the time to assess where your students are will help you guide your students in the direction that you need to and fill in any gaps that they might have. This resource will help give you ideas of what to teach during your whole group and small group times. 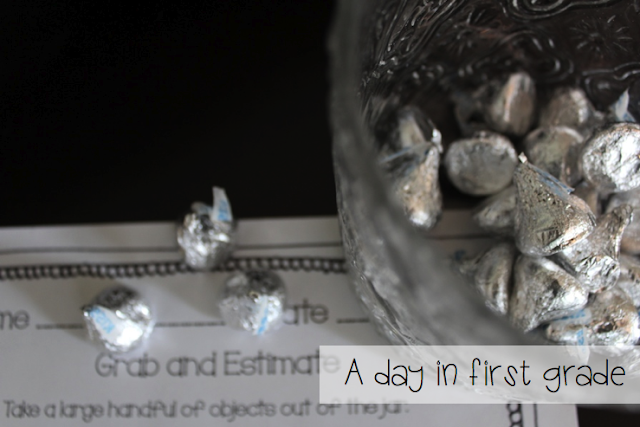 The activities do not even need many materials and your students will love them! I will give away one of these packs to one lucky winner! Comment below and I will pick a winner on Tuesday! And, as always, the product is on sale for the first 48 hours! I am sure you will love it. Click on the picture above to get taken to my store! Congratulations, Robin!! You are the winner of the pack! This looks awesome. I have also had my eye on those amazing Target boxes! This is amazing! All of your organization just makes me so happy! I am quite the organizer and I feel like you and I were separating at birth! I check your page everyday for a new post because you never disappoint! You give me so many new ideas! Thanks for another one! Wow, this looks awesome. I am going to be a K-2 VE teacher and think some of this would come in handy trying to figure out where my kiddos are!! Awesome Target find too!!! Understanding number concepts are a vital foundational skill required for future mathematical concepts, which is needed at the lower level of all educational systems – Pre K- 2. Having such a packet will seek to enhance my students’ knowledge and understanding in number concepts and will also help them to develop a love for mathematics around them. This looks great! 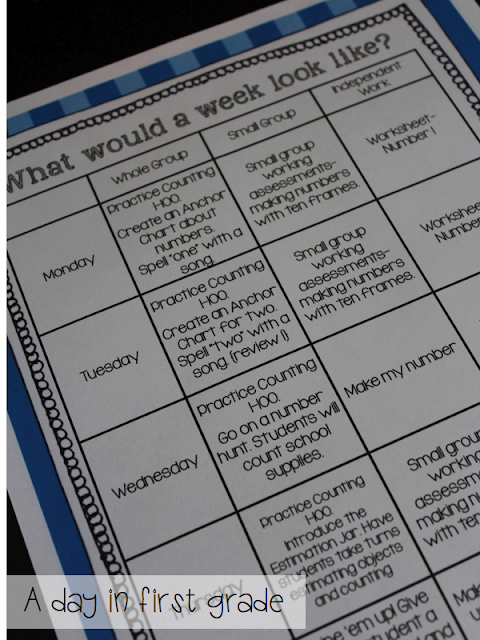 I am looking at starting math groups this year and these would be perfect! This looks fantastic! You are so organized! Love the Target filing box and you are so right about the importance of students mastering number concepts! Thanks for the opportunity to win this great packet!! These look like great activities and a super way to stay organized. Thank you for all of your great posts. I love the organizing tips especially now at the beginning of the year…many thanks!! Fingers crossed!! Love this!!! I love how it is all organized!!! This is wonderful…exactly what I have been needing to start my year off right. I could really use this unit. I know it would be a great asset for the first couple of weeks of school. Love this!!! Would love to win to make the beginning of the year go smooth! This looks great! It would be so helpful! I love the idea of your files. I had not really thought of putting everything in a file by concept. 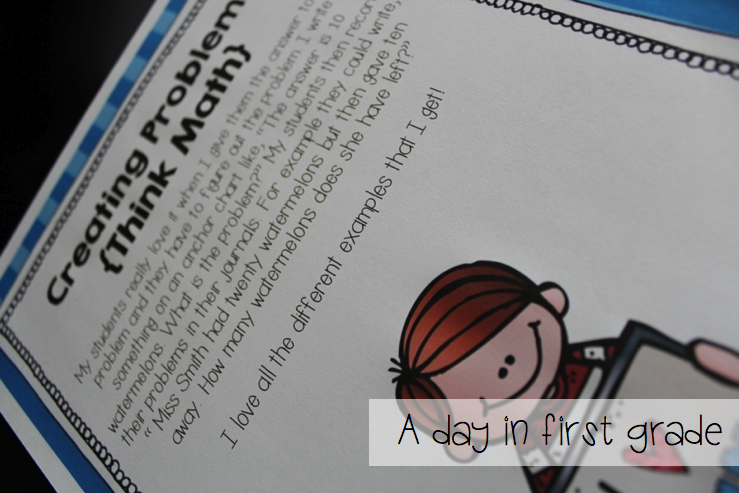 Love the idea of your Mastering Math Concepts. You are so organized! I would love to see how you pull it all together. I love these ideas! Great job! 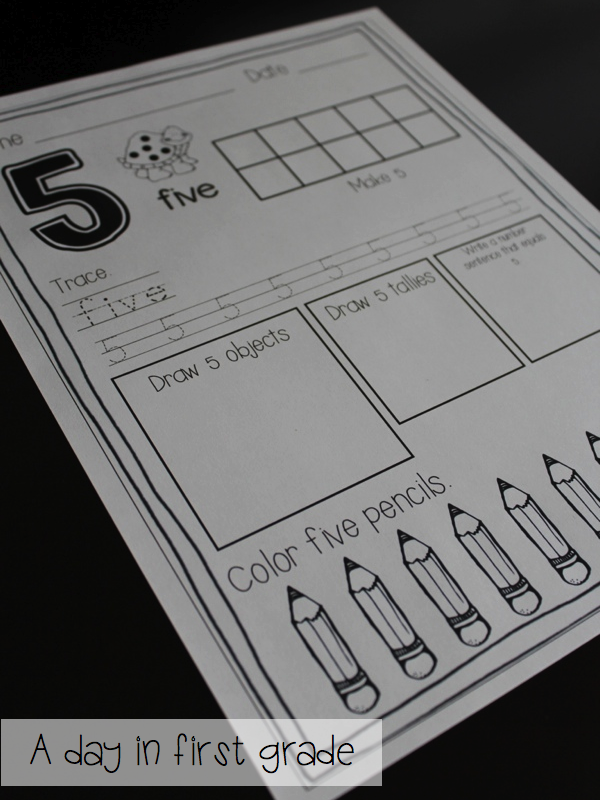 I would love to use this with my firsties! Thanks for the chance to win! My students always struggle with those teen numbers. These look great! Would love to use in my classroom. Wow, this looks great! I would love to have these useful resources! We are getting a new math curriculum this year and it would be so helpful to use this in the beginning of the school year! Thanks for a chance to win! I have been eyeing that file box at Target! haha 🙂 Your packet looks great! Thanks for the tips and the great reminder to take things SLOWLY at the beginning! This is a great idea. Those teen numbers always stump my littles. Thank you for making this. Oh my goodness1 I would love to have this packet! I am always looking for fun math activities to help assess! I am a first year teacher and I really appreciate the advice to start slow and really agree with assessment. What an awesome packet!! Thank you for the opportunity to win! They look like great lessons! Love your ideas! They are always amazing! Thanks for doing this for everyone! Love he what a week would look like idea. What a great plan to start your year. And I LOVE your target box!! After 8 years at home,I am back in the classroom teaching 1st grade. Thanks for all the amazing ideas!! Love your organization! My math is a mess right now so this packet would be great to get me focused and going for the year! I love the numbers pages! And of course the file box is super cute!! I have the Target file box in the green/blue combo, and you are totally right…it does not disappoint! 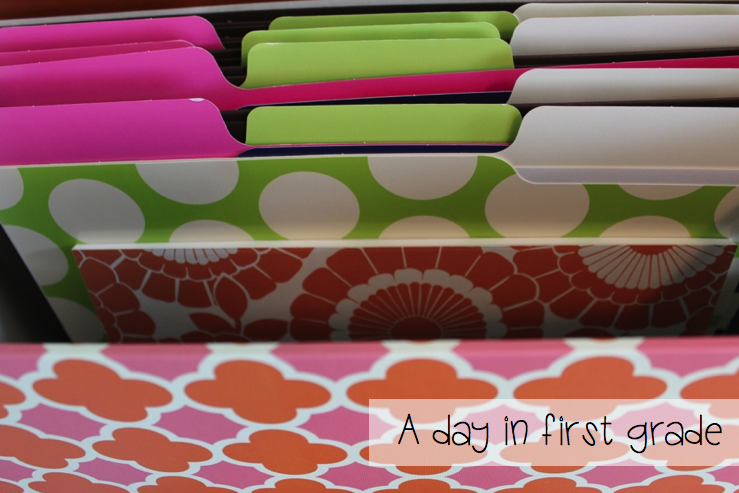 Love my Target file box! You are super organized! Love your ideas! I Love your work! Thanks for sharing. You are so organized! The math pack looks great! Taking your time to teach number concepts is so important! I love your ideas here! Only in my second year of teaching first grade so these ideas are very helpful!! Thanks for sharing! I love your number concept pages! What great ideas! This is my first year teacher and I am STRESSING out! This unit would be SO useful! This is great! I love cute office things! This looks awesome! I would love to win it for my first grade class! I love how systematic this looks! Thank you for putting this together. That looks amazing! I’m so glad you added go SLOW…that’s always a tough one at the beginning of the year! 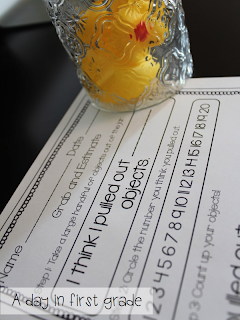 Thanks for putting the packet together and the chance to win! Would love to have this resource. Maybe I’ll be the lucky comment. Fingers crossed. I started out teaching 1st grade ten years ago. I was then moved to the upper grades. I will be back in first this year and love this resource. You reminded me that you must take it slow to build the students you to where you want them to be. I would love to use this resource to do just that! Wow, super job on this resource! Is it my lucky day? Great item to use on my advanced kinders. Great organization! Love to use this! I would love to win this pack! The math stations look like a great resource especially the number review and looking at the number in different ways. It works as a great assessment tool! Love the concept behind this!!! Monday was my first day of school for my firsties as well as my first day teaching and starting this amazing journey!!!! This looks AMAZING!!!!! We always remind ourselves we are working with “August babies” to remember to go slow. And yes, it always pays off.